Well done to Suzy and Emma Griffin! 2 of our pupils took part in District Competitions for the Girl Brigade in Wicklow last weekend on Sunday 24th March and came home with 3 medals. Emma and Suzy Griffin both took part - Taking home 2 X Gold medals for 1st places each in Modern Dance & Emma also received a medal for 4th place in solo skipping . They competed against teams from Greystones, Dundrum, Dun Laoghaire, Tallaght and Bray. 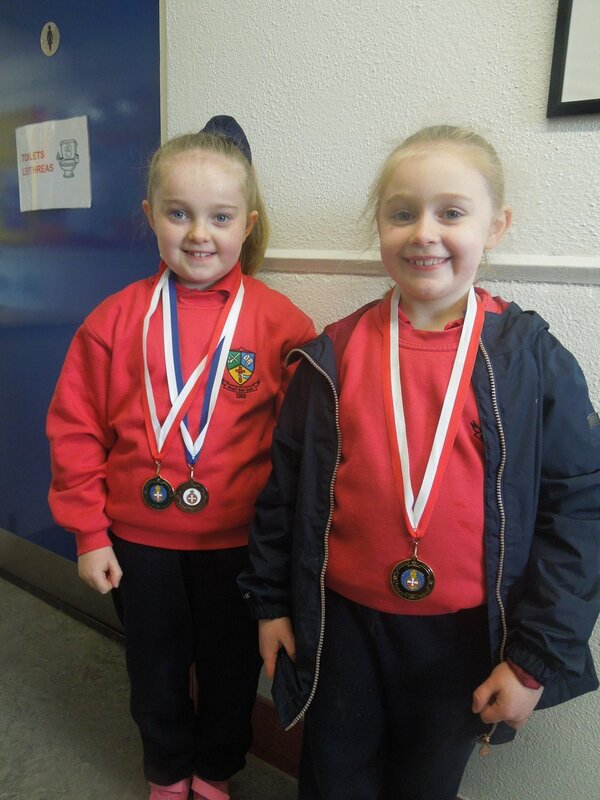 Well done to both girls on a fantastic achievement from everyone at Scoil San Eoin!